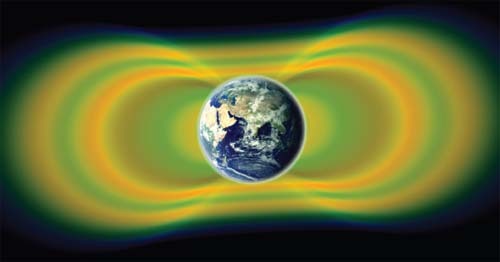 How were the Van Allen belts discovered? In 1958 the United States launched its first satellite, Explorer 1, into orbit. Among the scientific instruments aboard Explorer 1 was a radiation detector designed by James Van Allen (1914–2006), a professor of physics at the University of Iowa. It was this detector that first discovered the two belt-shaped regions of the magnetosphere filled with highly charged particles. These regions were subsequently named the Van Allen belts.